Happy Saint Patrick’s Day, 2014!!! Happy Saint Patrick’s Day, 2014!!! published on March 14, 2014 Read more posts by the author of Happy Saint Patrick’s Day, 2014!! !, MikeNo Comments on Happy Saint Patrick’s Day, 2014!!! 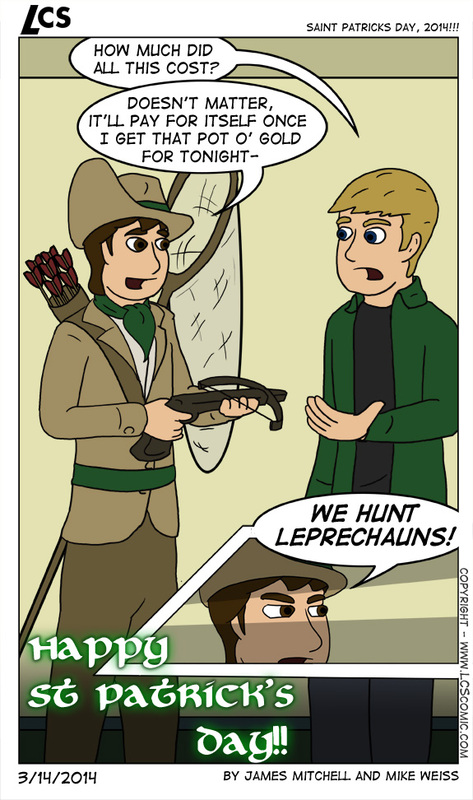 Mike: Leprechauns hate crossbows, it’s their one weakness. Happy Paddy’s day folks.